World Unscene is a new platform for international music in the capital, with its first two editions set for August 23 and September 29. 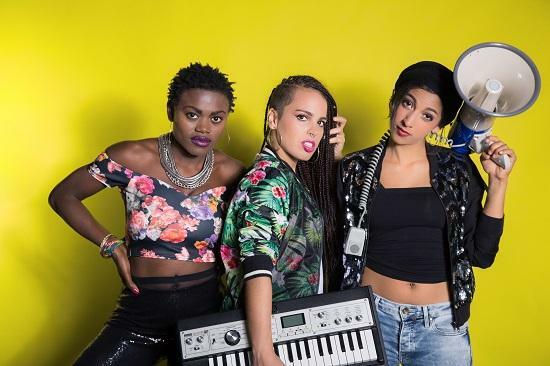 The first event, at Oslo in Hackney, focuses on 'The Sound of Latin London' and stars pan-Latin Havana-influenced outfit Wara, who combine timba, dembow, electronica and hip hop with inspiration from London. Support from Latin rap duo Mike Kalle + Nabsora and Poly-Ritmo who DJs Cuban records. The September show, meanwhile, takes place at The Garage in North London and is presented in collaboration with Open The Gate, a not-for-profit organisation that aims to "promote a positive and contemporary image of African and Diaspora arts, music, design and cultures." 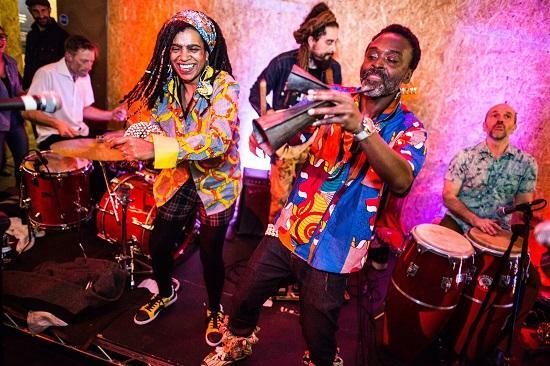 Brixton-born Afro-funk collective Yaaba Funk headline, with support from Nelson And Friends, led by Nelson Neves of the Cena tribe in Mozambique and who blend that country's music with jazz and funk. DJing that night is Fenomeno Show, the director of Open The Gate and the host of The Mayor Of London's annual Africa on the Square event at Trafalgar Square. You can find out more about each event here (for the The Sound of Latin London) and here (for the Open The Gate collaboration). You can also read on for a Q+A with one of the World Unscene organisers Will. Tell us more about the ethos behind World Unscene, and your plans for the series. Will, World Unscene: The ethos is really to represent the abundance of incredible world music in London and the UK. We want to provide a deserved stage to these bands and musicians, as well as playing host to musicians from all over the world. How many editions are planned? We’ve currently got two announced, the other being Yaaba Funk with our friends Open The Gate and several more in the pipeline. It’s an open-ended project and we want the programming to truly reflect global music, not just ‘world’ music as it is commonly perceived. Wara are a band I came across a few years back at a festival. They were in a small tent stage late at night and they had the entire crowd of maybe two to three hundred people going absolutely nuts – I think a couple actually got engaged at the end; the energy was high. They deliver an intense combination of timba, hip hop, electronica and dembow while painting a picture of life in London. I’ve worked with two of the three frontwomen as solo artists for a few years, so to launch this thing among friends is perfect. The same goes for Mike Kalle and Nabsora – they’re both people I’ve known for a while and I’ve having them down to support a band like Wara is perfect. Their energy is high, they rap between Spanish and English with lyrics about life in London as a Colombian and they are really committed to their artistry in a big way. Poly-Ritmo is a friend of mine from university who has been representing Latin music across London’s airwaves and dancefloors for a while now. That was a no-brainer too. What's your process for booking the acts? I’ve been moving around in the London world music scene for a few years as a promoter, DJ and musician, and as I’m sure you can imagine you come across so many incredible artists. Venues in north London like Passing Clouds, Silver Bullet, Rich Mix and The Jazz Café have been really important for the scene, and they’ve been hosting some amazing artists over the years. The nature of the scene is such that everyone knows everyone, and everyone plays with everyone. For me it’s about exposing this to the wider audience of venues like Oslo and The Garage. Why the decision to focus on bringing music from around the world to London, why is that important to you? A lot of the ‘world’ music in London is put on at places like The Barbican and Southbank Centre, and they're outstanding at championing music from around the world alongside the sort of programme they’ve been known for over the years. You know, you’ll have Sarathy Korwar one night, then Paul Weller with an orchestra the next. To see a north Indian classical performance at a venue you’d usually associate with jazz or orchestras can only be a positive thing. World Unscene is about doing that but on a more local scale. London’s local communities and music scenes are overflowing with incredible artists and talent. And we have four top class music venues in three very different areas at our disposal at DHP, all of which programme bands like Peace, Jack White and Everything Everything. We have an opportunity to host London-based artists alongside musicians from around the world, and to expose London’s outstanding and vibrant music scenes to a wider music loving audience. It’s an opportunity we need to explore because not only is this music being written and produced in London, but the local music scenes actually represent the people in and around them. Will future editions also feature on Latin music, or will you branch out elsewhere? For the second event we’re working with Open The Gate, who are one of London’s leading producers of African music in London (they produce the Mayor’s ‘Africa On The Square’ annual event). So we’ve got Ghanaian Afro-Funk group Yaaba Funk heading up a night of Afro-funk & fusion at The Garage on September 29. We will come back to Latin music of course, as I’m sure we will Afro-funk and fusion, but World Unscene is about representing the hidden sound of London, and we’ve got a long way to go before it’s mission accomplished.